For example, searches for Rothschild-related conspiracy theories—the Jewish banking dynasty that has been blamed for everything from the Kennedy assassination to ISIS and climate change—have increased by 39 percent in the past three years. During months where searches for actual information on the Rothschild family increases, other antisemitic searches increase proportionally. Events, such as Holocaust Memorial Day (27 January) cause dramatic spikes in anti-semitic Google searches. Mainstream media coverage of Jewish individuals, Israel, or matters relating to Judaism in the news frequently spark temporary spikes in antisemitic searches. 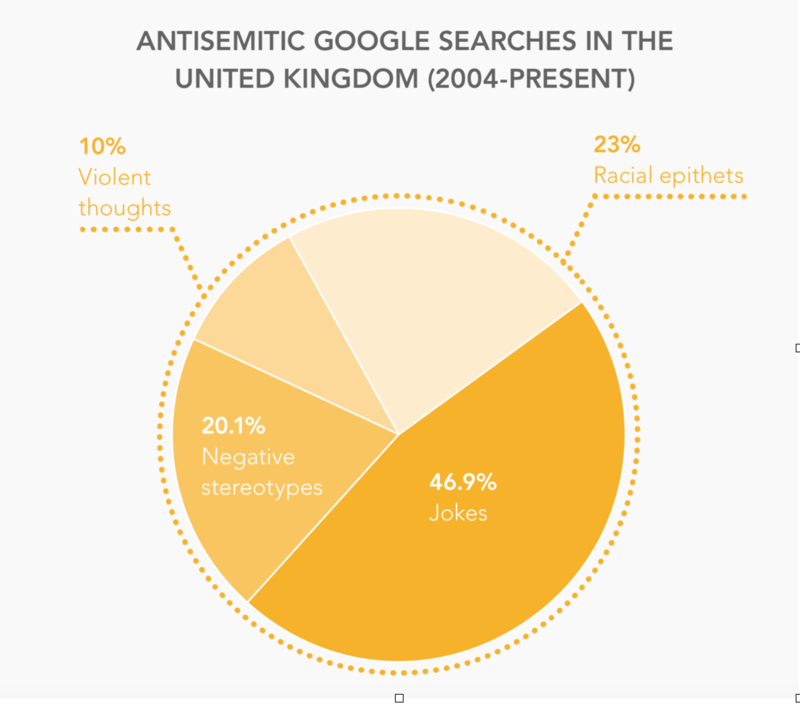 Even positive events spark hateful searches; according to the report, antisemitic searches increased by 30 percent following Israel’s victory in the 2018 Eurovision Song Contest. Stephens-Davidowitz stresses that his findings are significant beyond antisemitism. He calculated that someone who searches for “Jew jokes” is 100 times more likely to also search for ‘n****r jokes.’” Likewise, the report acknowledges that many of these searches are also tinged with misogyny, substantiated by the fact that famous Jewish women are targeted more often than famous Jewish men. However, the report emphasized that the haters do not have to win. 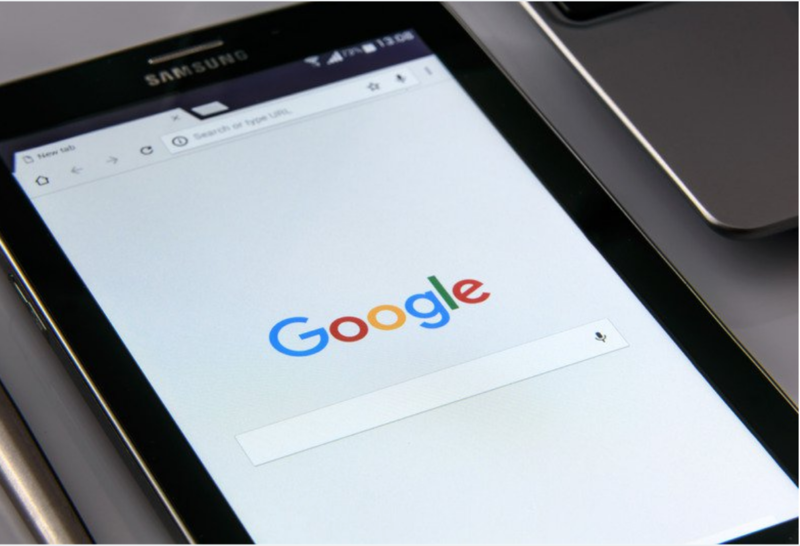 Search engines have the power to minimize the frequency of antisemitic, and other hateful searches—after Google removed “Are Jews evil” from its auto-complete function in December 2016, searches for “Are Jews evil” decreased by ten percent. You can access the CST and Anti-Semitism Policy Trust report in full here.